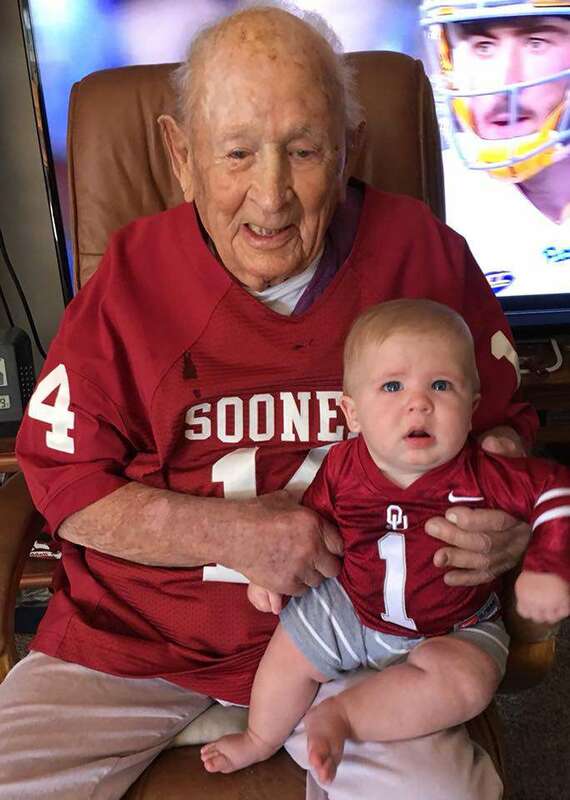 At the very beginning, James Herald Spring, also referred to as 'Pop', was hesitant about taking his newborn 5-day-old great-grandson Easton into his arms. The baby's mother reassured Pop that he posed no threat to the little boy, after which she plopped her baby son into Pop's outspread arms. 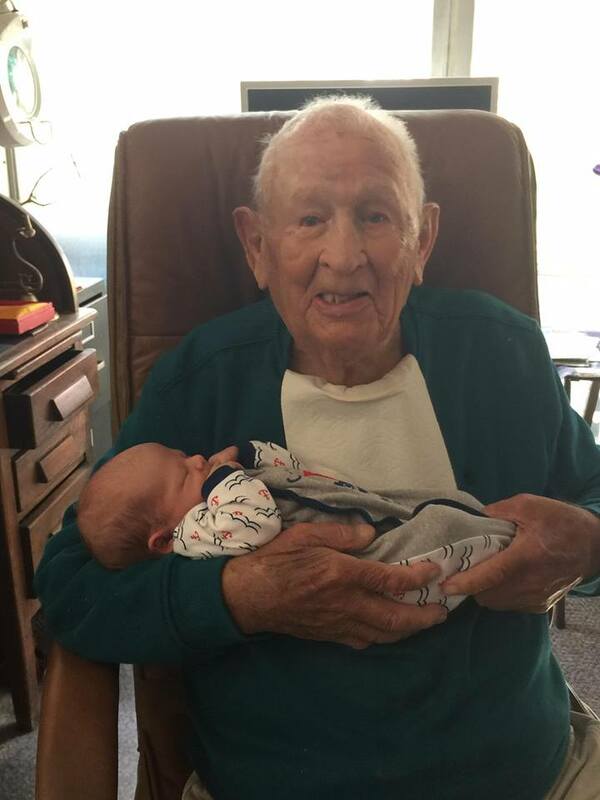 What followed can surely melt even the most hardened of hearts, Pop pulled his great-grandson near to his chest, cuddling the baby in his arms and putting the warmest smile on his deliriously happy face. Among the mom's phrases was 'he loves you, Pop' and she asked questions about what he thinks of the child. 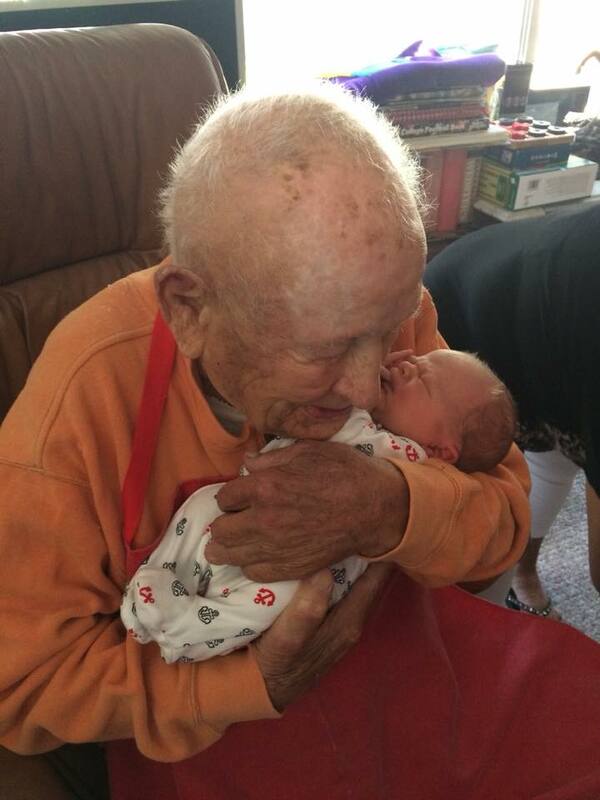 The great-grandfather was just cooing happily, holding the baby tight to his heart. The expression on Pop's face told its own tale: Pop was literally blissed-out. Easton's dad, Jason Zwolak, took the opportunity to record a video to keep his scattered family in the loop, so he filmed the moment with Pop cuddling Easton for the first time. The video shows how even the family dog joined in on the cuddles, coming up to Pop and sniffing Easton's head. The heart-melting story became an overnight sensation, capturing nearly 16 million views in just two months after publishing. 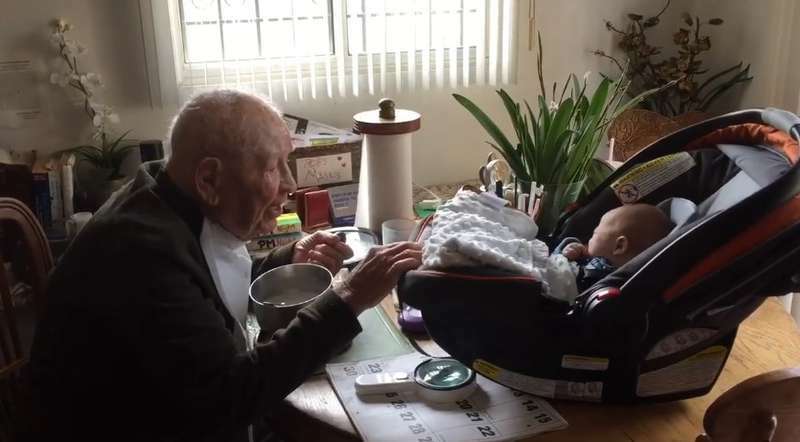 Besides that, the video captured a very special moment, how the baby cried only once when the mother took him out of the arms of his 105-year-old great-grandfather. Not all families are blessed to experience such precious moments. James Herald Spring, the grandfather of Suzan Zwolak, was still quite active and independent at 105. However, the past few years had been more difficult for him. Suzan and Jason needed to make the thirty-minute trip four or five times per week to visit him in Long Beach, California. Though Pop's condition had worsened over the last several years, the Zwolaks believed that there was only one thing breathing life into Pop's days, and that was this new life. After the birth of Easton, Pop visited his 'little guy' three or four times per week. Of course, he always worried that he might drop his great-grandson, but he never did. Despite the significant age gap between the two, Pop and Easton had a comfortable routine together. One day Pop took Easton in his car seat to the table to eat his oatmeal breakfast - the same routine as 40 years ago - but that time rocking Easton. The little boy was wide awake talking to his great-grandfather. This was unbelievable. James Herald Spring went through the loss of his wife and two sons, so bonding with his great-grandson was a true morale booster for him, nurturing his spirits and cheering him up. 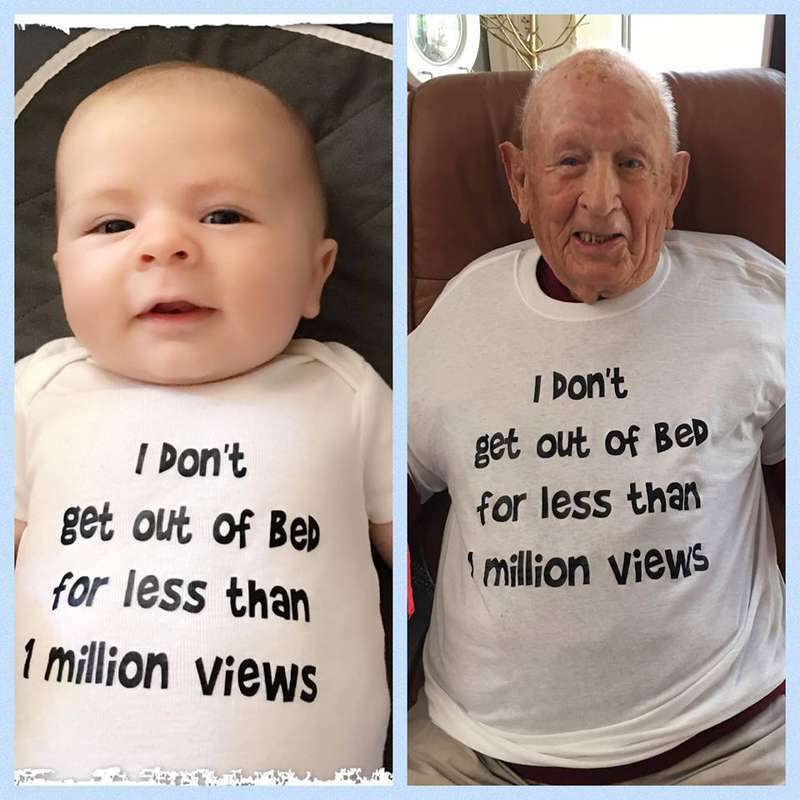 Though 'Pop' is no longer alive, Easton will definitely remember his great-grandfather thanks to the stories told by his parents and the videos that warmed millions of people's hearts.